How far would you travel to see something special? The long drives that eventually delivered us from Quito in Ecuador, across the South American continent to Rio de Janeiro affectionately became known as Truck Days. Those three months were my first experience of such long haul road trips and also my virgin exploration of rickety, single lane highways that stretched for hundreds of miles through all manner of terrain. We each spent our time during those hours slightly differently. For me, listening to music while watching mountains, deserts and oceans blur past my window was the perfect amusement. Long mornings and afternoons passed like this, only broken occasionally with an impromptu roadside loo stop or a conversation with a friend. Sometimes I would doze, usually reliving what I’d seen in previous days: A swirling dreamscape of forests, colourfully dressed ladies and ancient ruins. 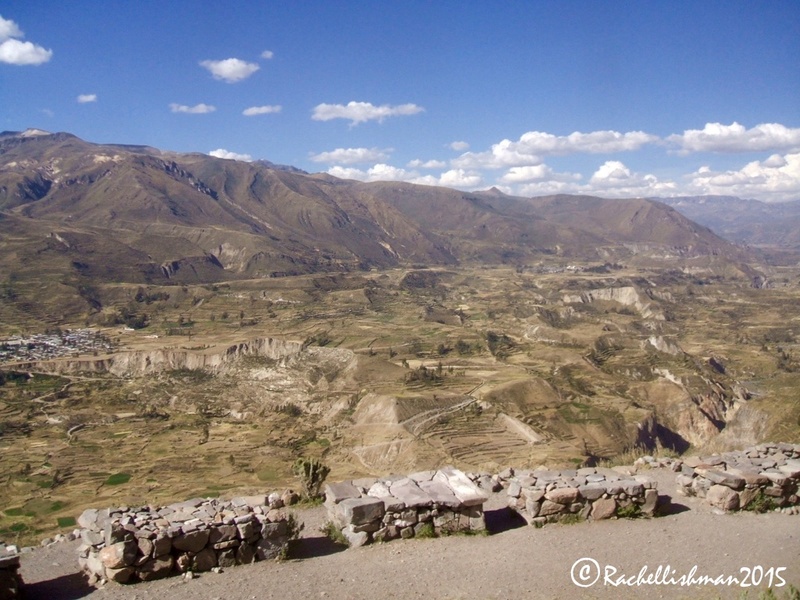 One of the longest and bumpiest truck days I remember was a visit to Colca Canyon. Not only one of the deepest ravines in the world, Colca also provides an impressive home for one of the largest birds in the world: the Andean Condor. With an average wingspan of 3.2 meters and an ominous black coat that can easily shield the sun as they fly overhead, it’s no wonder these birds have become a spectacle. In an ideal world, and framed on either side by cliffs twice as deep as The Grand Canyon, the condors would immediately swoop long and low for visitors to get a closer look. In reality, these creatures take a little longer to make an appearance. Sadly they have become endangered as their habitat decreases, so a multiple sighting is rare. Maybe they also realise that they’re worth the wait. 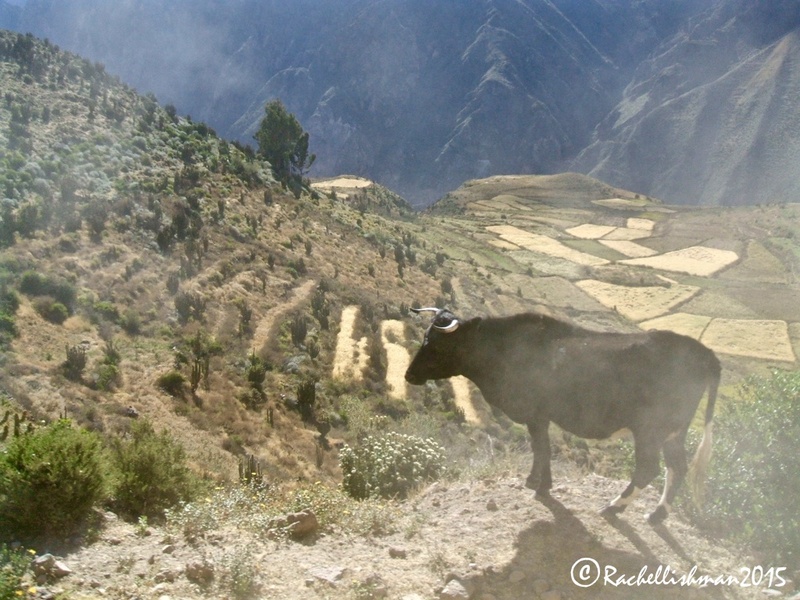 We set off from Arequipa at dawn and rolled over 160 kilometres through hillside pastures and sweeping Inca terraces. I slept only briefly; woken by the wobbling of our bright yellow beast over a road made for nothing more than a donkey and cart. Other grazing animals were never far away. Vicunas, llamas and the occasional ox dotted the landscape behind the dusty haze from our tyre tracks. By the time I stretched my legs at the highest point of the canyon, it was midday. We prepared, ate and cleared away our truck lunch. Then, we waited. A strong sun beat down into the deep cracks of the valley below us exposing every niche of every rock. No other vehicles passed our vantage point, or at least if they did I can’t remember them. A Peruvian lady sat silently in her traditional tall black hat and full red skirt, waiting to sell her trinkets. 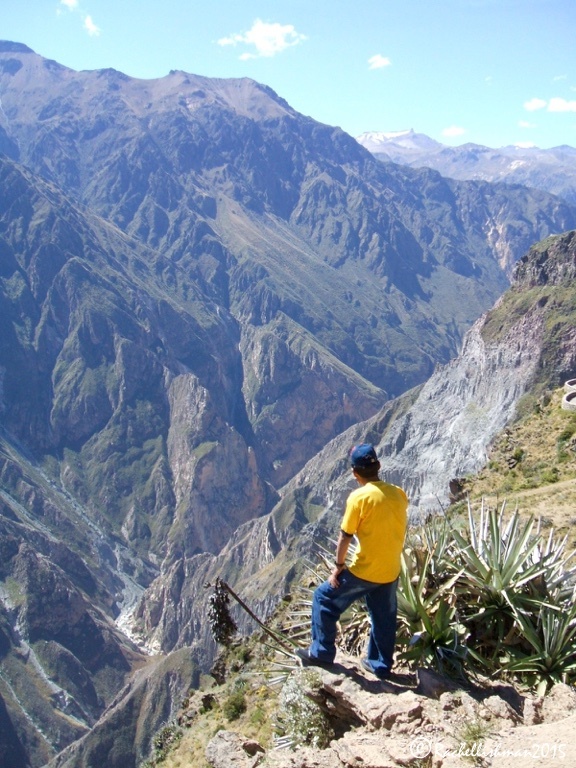 Our guide keeps a watchful eye for condors, both above and below the valley. 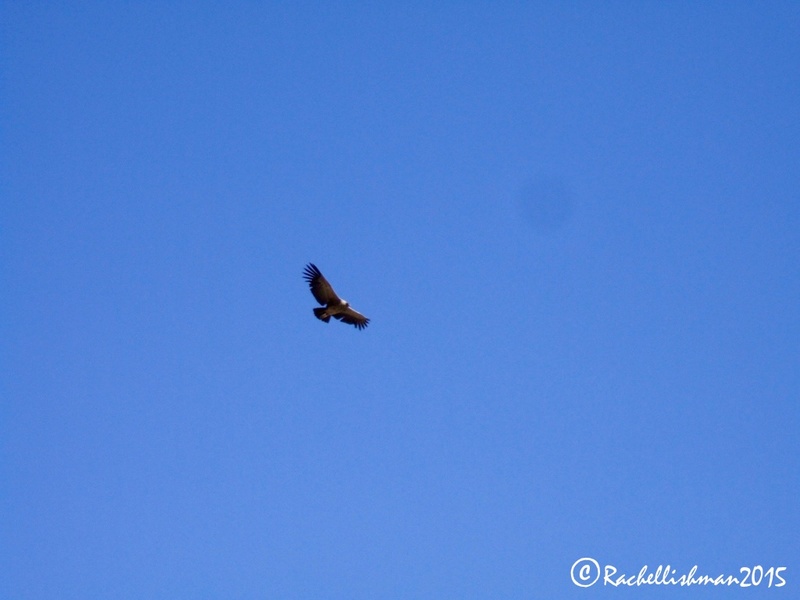 Finally we spotted the condor. At first just a spec, it gradually came low enough for us to see its huge wingspan. We waited some more. Far from being restless, our group seemed very content. We were happy to soak up the afternoon warmth and possibly just glad to be free from the truck for a few hours. We waited. Suddenly, our local guide pointed upwards and we followed his hand. A tiny black line in the high thermals swayed and lulled above the valley. Hardly a movement in its wings, it soared effortlessly above the valley. After that first sighting we got lucky. More elegant condors joined the dance and gradually moved lower on the air currents. After watching this performance for what seemed like hours, I readied my camera reluctantly, knowing that it would never do this unique bird justice. Snap. An Andean Condor swoops over Colca Canyon. To see something very special, I travelled roughly ten thousand kilometres, happily endured a four-hour drive on gravel track and ultimately spent a peaceful afternoon in one of the most exceptional valleys in the world. It was certainly worth the effort Rachel. I really enjoyed your story. That guide is standing a little too close to the edge of the canyon for my liking though!